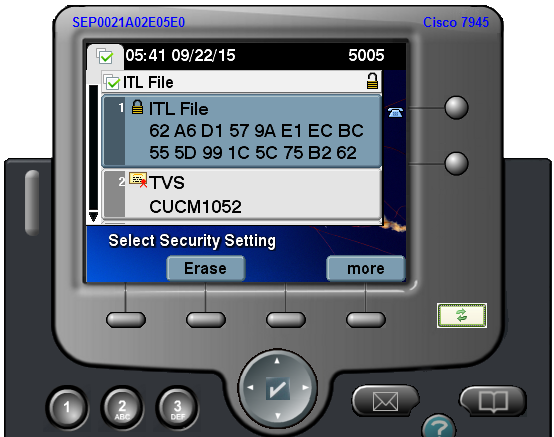 Cisco phones use CTL/ITL files to store a list of server certificates on the phone. Having the wrong CTL/ITL files installed on phones can lead to major issues during an upgrade or migration as the phones will not trust the TFTP server and hence not update the configuration. Any changes to the phone's configuration will not be activated on the phone. The Uplinx Remote Phone Control Tool's bulk CTL/ITL Erase feature enables you to quickly and easily delete the CTL/ITL files for a group of phones remotely. Deleting CTL/ITL files can normally only be performed manually on the phone. The Bulk CTL/ITL Erase wizard, along with all other bulk features, requires a Professional license and is not included in the Standard license. The Bulk CTL/ITL Erase wizard enables you to easily remove the CTL/ITL files when a phone needs to be migrated to a new CUCM server. If you plan to migrate your phones, please see the steps in 'How to migrate Cisco phones to new CUCM servers'. If you suspect invalid ITL files on your phone because the phones do not accept configuration changes from CUCM, please generate the free report 'Invalid ITL report for Cisco phones' included in the UPLINX Phone Control Tool. Identify invalid ITL files: Use the free ITL Status Report. Delete invalid ITL or CTL files from Cisco phones: Use the CTL/ITL Erase wizard. 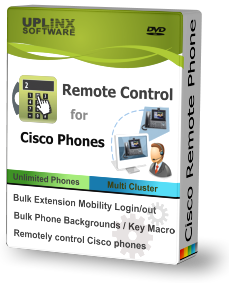 Migrate a group of phones to a new CUCM cluster: Easily select a single or group of phones to migrate to a new CUCM cluster by deleting CTL/ITL files. The phone-group can be built based on device pool, model, extension range, location and phone description. Please see the steps 'How to migrate Cisco phones to new CUCM servers'. To get started, download your trial version now and follow these steps to Bulk CTL/ITL Erase for Cisco phones.